Now this is just getting stupid. No, I’m not referring to my Greek friend. Or that ridiculous sour cream I saw an ad for recently. 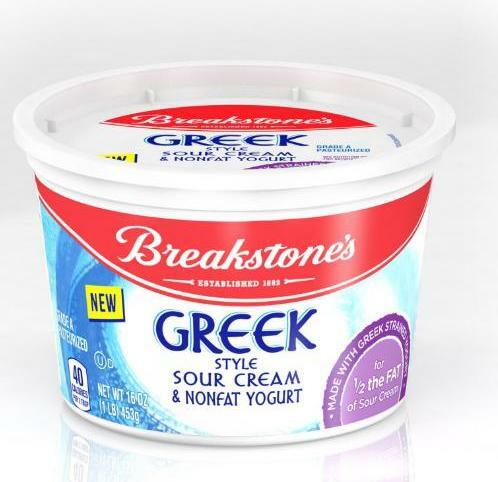 I am referring to the newest dustup in the Greek yogurt world. Greek yogurt manufacturer Fage recently sued NY-based yogurt maker Chobani in the UK, demanding that Chobani refrain from calling their product “Greek Yogurt” because it’s made in the USA. A lower court ruled in Fage’s favor, and Chobani appealed the ruling. But an appeals court once again ruled against Chobani, upholding the lower court’s injunction against them using the term “Greek yogurt” to describe their US-made product. Hold up. Something smells bad, and it isn’t the moldy yogurt that Chobani was selling recently. See, Fage’s main complaint here is that if it’s not made in Greece, it can’t be called Greek yogurt. Much like sparkling wine not made in the Champagne region of France is not eligible to be called Champagne, and meatballs not served in an Ikea can’t be called Swedish*. The fact is, Chobani manufactures its products in its New Berlin, NY (and also Twin Falls, ID) and this is Fage’s complaint – it ain’t made in Greece. Our U.S. facility, located in Johnstown, New York, which started commercial production in April 2008 and is the largest of our facilities in terms of production capacity, manufactures yogurt products for the U.S. market and the rest of the Americas. We have three facilities in Greece that serve all of our markets outside of the Americas and have the capacity to expand their production to accommodate expected increases in demand in the United Kingdom, Italy, Germany and other international markets. So I don’t understand their argument here, unless I am completely missing something. Why didn’t Chobani’s lawyers bring up the fact that Fage continues to call its product Greek when it’s made in NY? Should I call Chobani’s legal team? Should I go to law school? *This may or may not be true. I’ve actually never set foot in an Ikea. But I do make some mean Swedish meatballs, courtesy of my Swedish mother-in-law. Previous Previous post: Snow Rollers!